We are pleased to share our Year in Review report for 2018! Open Referral is grappling with a complex, systemic issue – so we made an animated video to explain the problem and our approach to solutions in just a few minutes. The Open Referral Explainer from Open Referral on Vimeo. Last year, the Miami Open211 project set out to demonstrate that an information-and-referral helpline operator can evolve into an open platform — providing machine-readable data as a service to its community — in ways that are both technically efficient and institutionally sustainable. This project, which began in partnership with Switchboard of Miami, was Open Referral’s first formal pilot with a 2-1-1 provider. Last week, we submitted the final report for this first phase of innovation. Many thanks to the Children’s Trust of Miami-Dade County, which funded our experiment, and Jewish Community Services of South Florida, the new steward of Miami-Dade’s 2-1-1 service. 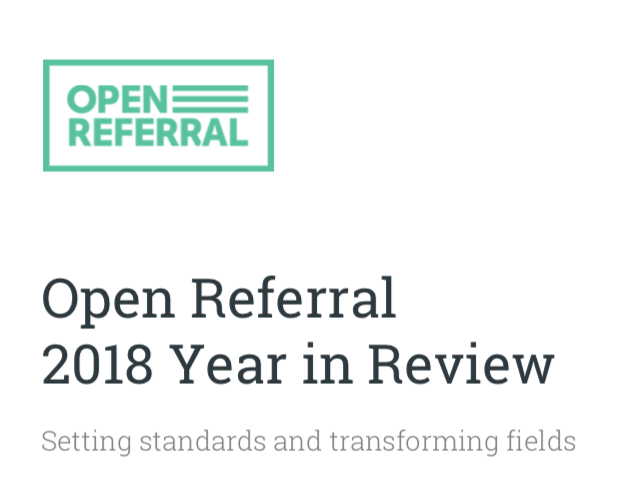 With their blessing, we are excited to share our findings with the Open Referral community. See the Final Report document here. The Open Referral Initiative’s next chapter starts now! Open Referral has helped over a dozen community organizations find new ways to share resource directory information about the health, human, and social services available to people in need. Our Human Services Data Specification provides a common ‘machine language’ that any technology can be programmed to understand. This work has spurred a proliferation of ‘Application Programming Interfaces’ (APIs) — which publish machine-readable resource data for third-parties to query in real-time, so they can repurpose it in new ways. So our newest mission is to establish interoperability across this new wave of resource directory APIs, so that machine-readable data about human services can be easily accessed and shared with a common protocol — regardless of technology, jurisdiction, organizational status, etc. 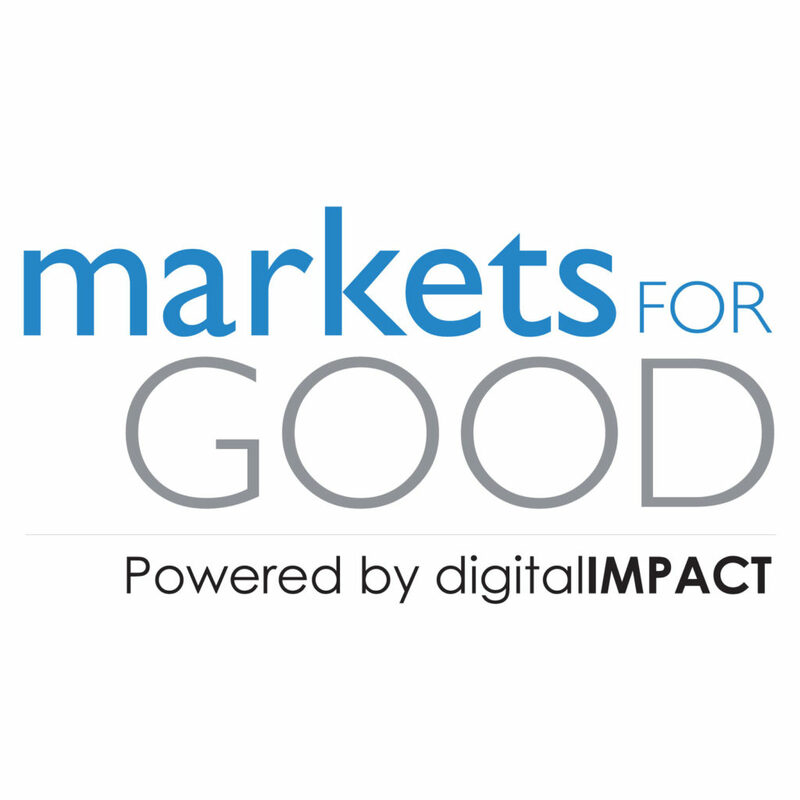 Toward this end, we’ve received funding from the Markets for Good program — which is now a part of the new Digital Impact initiative (digitalimpact.io) hosted by the Digital Society Lab at Stanford’s Center for Philanthropy and Civil Society!